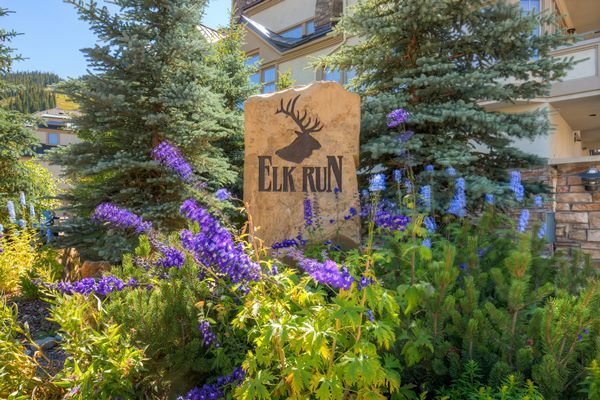 The Elk Run Condominium's are located at the bottom of Copper Mountain's East Village and are only 200 yards from the SuperBee Chairlift, and on the edge of the 8th and 9th fairways of the Copper Creek Championship Golf Course. 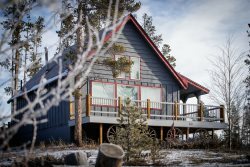 This one bedroom, two bathroom condo comes fully equipped with an open kitchen that has granite counter tops, stainless steel appliances, a dining area with room for four, and a cozy living area with a gas fireplace and flat screen TV. When you are ready to lay down at the end of a long day step into the comfortable master bedroom with a king sized bed, a large en suite bathroom with tub and shower, and windows with views you just can't beat. Sleep an additional two persons with the double size murphy bed in the living area. The second bathroom off the hallway has a stand up shower, making it easy for the whole group to get ready. The ladies who ran check in were marvelous! Stacey and Kelsey were great. My wife accidentally locked herself out of the condo while I was out skiing. Your team was very prompt in sending someone to assist her. The condo was beautiful and conveniently located. We had a great time! Excellent! The parking space (garage) is to small to park a SUV inside the property! Kay was very friendly and knowledgeable. I greatly appreciated her flexibility and willingness to work with me on my arrival and departure times. The property was perfect for my family of four. The Murphy bed is great for the kids, the master bedroom is spacious and clean. Very easy to walk out the lift and ski back.